St Patrick was a 5th Century British Christian missionary and bishop in Ireland. Known as the ‘Apostle of Ireland’, he is the country’s patron saint. Legends told about St Patrick depict him banishing snakes from Ireland and converting his walking stick into a living tree, amongst many other great displays of divine power. However, there is one thing that is perhaps more legendary than St Patrick himself, more celebrated than his miraculous achievements, and certainly more revered worldwide; the day that is held in his honour. Have you heard the one about the Irishman in Copenhagen? No? Me neither. This is a strange one, as Denmark doesn’t typically have strong ties to Ireland. 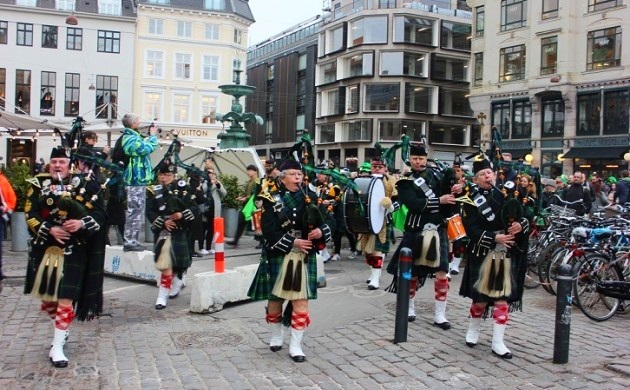 Nonetheless, Copenhagen’s celebrations indulge in the same activities that take place all over the world; parades, drinking green beer, and dancing to traditional Irish music. Of course, Copenhagen’s most unique St Paddy’s Day tradition consists of a charitable three-legged race through the city’s Irish pubs, drinking in each one as you pass through. So, Copenhagen may not be the most obvious destination for St Patrick’s Day, but we sure like their style! If Munich has any ties to St Patrick’s Day, then it’s a secret to us! What certainly isn’t a secret is the Bavarian love of Beer and good times, making St Paddy’s Day a cause for celebration throughout the city. 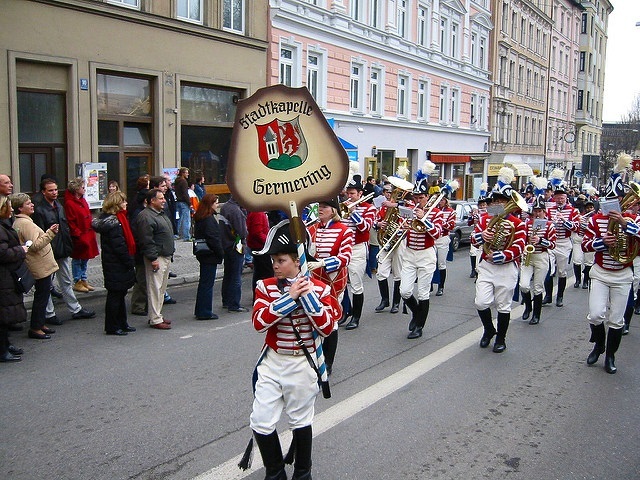 Since 1996, Munich has enjoyed an annual St Patrick’s Day parade, with the attendance growing stronger each year, as they take you on a ‘Journey to Ireland’ with traditional music and dance. Whilst you’re getting caught up in the celebrations, don’t forget to join our Munich Beer Tour for a taste of the city’s own traditional brews! 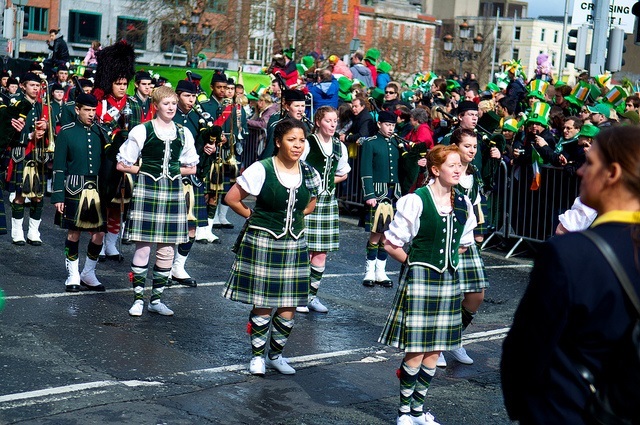 With a cultural identity that proudly reflects Irish heritage, Glasgow has often been referred to as a second home for the Irish, and the city’s annual St Patrick’s Day festival seeks to celebrate the relationship between Scotland and the Emerald Isle. You can expect the usual festivities; the traditional music, the unique dancing, the typical drinks… if it sounds like it belongs at a St Paddy’s Parade – it’ll be there! So, what makes Glasgow’s celebrations different? Well, quite simply – their authenticity and exuberant atmosphere. The pubs and bars organise and encourage live music performances and poetry readings, and with such a wild audience watching, you just know that ‘encourage’ is the right word! 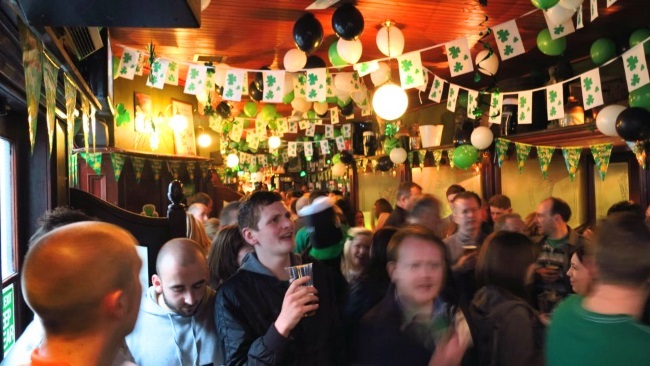 SANDEMANs won’t be celebrating St Paddy’s Day in Glasgow this year, but take a short trip east to join us in Edinburgh for our St Patrick’s Day Pub Crawl, as we bring the Glaswegian atmosphere to Auld Reekie! 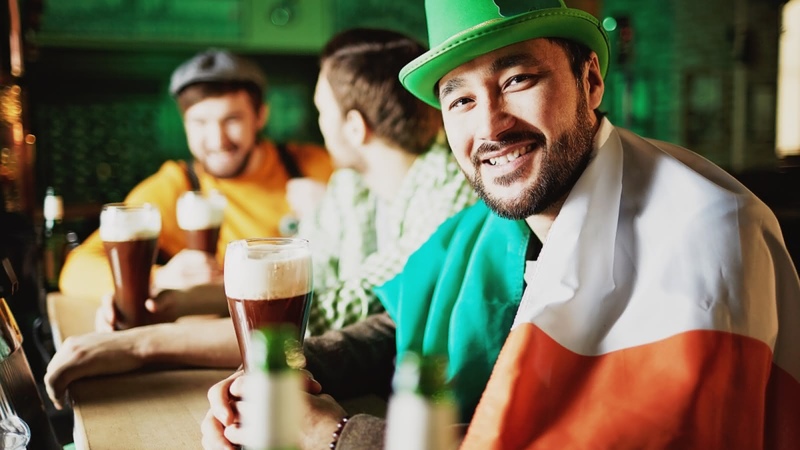 St Patrick’s Day may not be a public holiday in England, but with so many celebrations taking place throughout the world… do you really expect London to miss out on the fun? 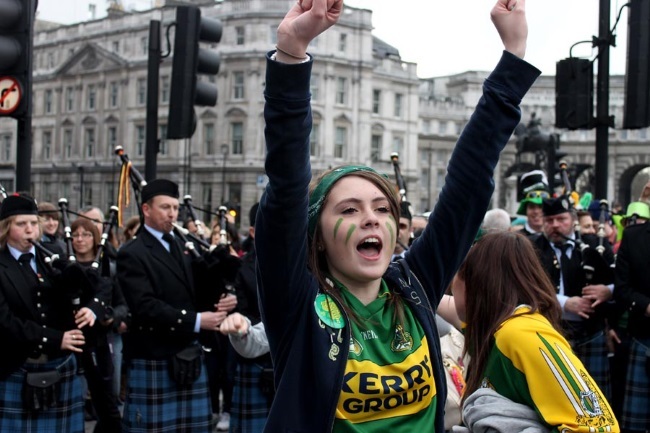 Whether that fun involves indulging in the extravagance of the annual parade (1.5 miles long), experiencing top-notch music and comedy in Trafalgar Square, or simply throwing back a few pints of Guinness at one of the many Irish pubs, it’s safe to say that no one can be blue when surrounded by so much green. Don’t miss out and take part in our special St Paddy’s Day Pub Crawl, starting at 7.30pm from Central London. Our surprise entry! The dark horse! The underdog… okay yeah, you all guessed this one… but you guessed it for a reason! Despite all the fantastic beer-swilling, shamrock-picking, rainbow-chasing, Leprechaun-hunting St Paddy’s Day celebrations, no one does it better than the Irish capital. Moreover, this city knows how to have fun: large-scale parades; treasure hunts; university boat races; foot races; traditional Irish pubs with local beers; music festivals; traditional dancing; and many more activities will have you spoilt for choice. Last but not least, if you want to experience St Paddy’s at night, and get a glimpse of Dublin dressed in green light as you roam from bar to bar… don’t forget to join our exclusive St Patrick’s Day Party, running on Friday the 16th and Saturday the 17th of March. 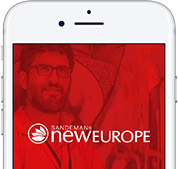 Bonus: SANDEMANs NEW Europe St Patrick’s Day Pub Crawls! You may not have the opportunity to head to these great locations this year, but don’t worry, we are also hosting special St Patrick’s Day Pub Crawls in Lisbon and Paris!